Nicknamed "Kawaiichi," Kawai was the school representative at Ishida's elementary school. She is popular and normally takes charge of situations and is shown to be kind to everyone; however, all her actions seem to have her academic reputation in mind. Kawai is also a narcissist who believes that everyone should love her, as well as wanting to be the victim in every problem she faces. 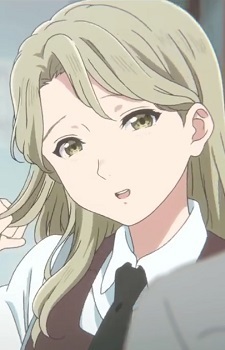 Though she never actually insulted Nishimiya, Kawai did nothing to intervene and even laughed alongside her friends, making her also responsible for Nishimiya's transferring. Kawai's accusation of Ishida being a bully is a catalyst to his isolation among his classmates. Kawai becomes Ishida's classmate again in high school and takes part in Nagatsuka's film shooting, bringing Mashiba, whom she has a crush on, in tow. It is revealed that Kawai has always been scared of Ishida and accuses him of not wanting to face the truth, again a catalyst to his falling out among his film crew. Later, when she tells the class that they will make paper cranes as a wish of recovery for Ishida, who is hospitalized after saving Nishimiya, her classmates are disgusted and secretly bully her. Having to experience the feeling of getting bullied for the first time, Kawai resolves to become more empathetic with others. At the end of the series, Kawai presents Ishida with the paper cranes made by their classmates and follows Mashiba to study to become a teacher.